The Iranian cultural sector hoped conditions would take a turn for the better when the more moderate Rouhani took over from hardliner Ahmadinejad. The reality is more complicated. 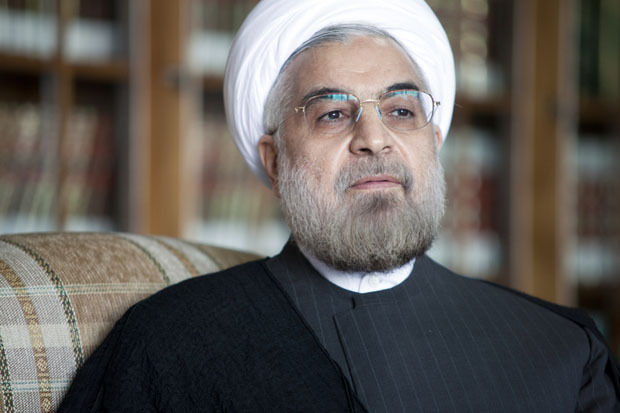 It has been six months since Hassan Rouhani took office as the 7th president of Iran’s Islamic government. Considering his government a moderate one, in the first weeks of his tenure, as he introduced his cabinet members, the cultural industry hoped for conditions to take a turn for the better after 8 years of suppression brought about by former president Ahmadinejad and the hardliners. Although the situation seems to be neither dramatically better nor worse, Rouhani is sending mixed messages on artistic freedom. There have been positive steps, like in September 2013 the government reopened Iran’s House of Cinema. The former government had announced this non-governmental organisation was considered an illegal entity and dissolved it two years previously. The new Ministry of Culture announced that it had been shut down by the previous government but never dissolved, “as a registered organisation has an legal identity and cannot be dissolved by the Ministry”. Many celebrated and veteran filmmakers, even those who boycotted cinema during Ahmadinejad’s time, attended the ceremony of reopening the House of Cinema to show their support for new policies towards more freedom for artists. There was also some good news for the literary community. Cheshmeh, a major publishing house, got its licence back in January 2014. Ahmadinejad government had revoked it in June 2012 for being “insulting to Imam Hossein, the third Imam of Shiites”. Before this accusations Cheshmeh had received several notices to stop “promoting western ideas”. Minister of Culture and Islamic Guidance Ali Jannati, was early drawn into the spotlight, participating in press conferences about his policies on books and films. Jannati announced he would move towards removing the procedures of pre-publication licensing of books, which has sparked both new hopes and new concerns. Iranian authors saw this as a good opportunity to send their old books to publishers, but publishers were concerned that publishing books which have no guarantee of being approved, could be an expensive exercise amid paper price increases. However, Jannati later stated that the Islamic Republic of Iran has principles that need to be upheld, and while they would need to maintain the current review and permission process, they may be able to accelerate the process. The first action of the new minister was to return books that had been in the hands of the auditing committee for an extended period of time. This did not mean that the books had been accepted, and the list of required amendments handed back to publishers and authors demonstrated that the government’s approach and attitude, at least as of yet, has not changed. Rouhani and Ali Jannati both had meetings in the past six months with Iranian artists in both publishing and cinema, promising to pursue positive changes to facilitate the licensing procedures for books and making movies. Ali Jannati also said that artists need a secure space rather than a space controlled by security forces to be able to function. Rouhani said that art can not be commissioned or controlled. They both insist that controlling cultural industry is not the government responsibility and they suggest it would be better to shift the controlling system to the artists themselves. Specifically regarding books, they’ve said the publishers should take the responsibility for the scrutiny of books, which diverts attention away from the government. This could pose a great danger to the publishing industry, with an increased risk that publishers could take a stricter approach to censorship than the government because they have more to lose. In a gathering with cinema industry practitioners in early January, Hassan Rouhani mentioned that now is the time to stop making sad and dark movies and encouraged movie makers to instead make hopeful and optimistic works. This seemed an official order rather than an inspiration. Raha Zahedpour is a journalist and researcher living in London. She writes under a pseudonym.